"Portrait of a Horse" foil prints, 8x10 Print - Decorative wall art made with hand applied colored foil materials. 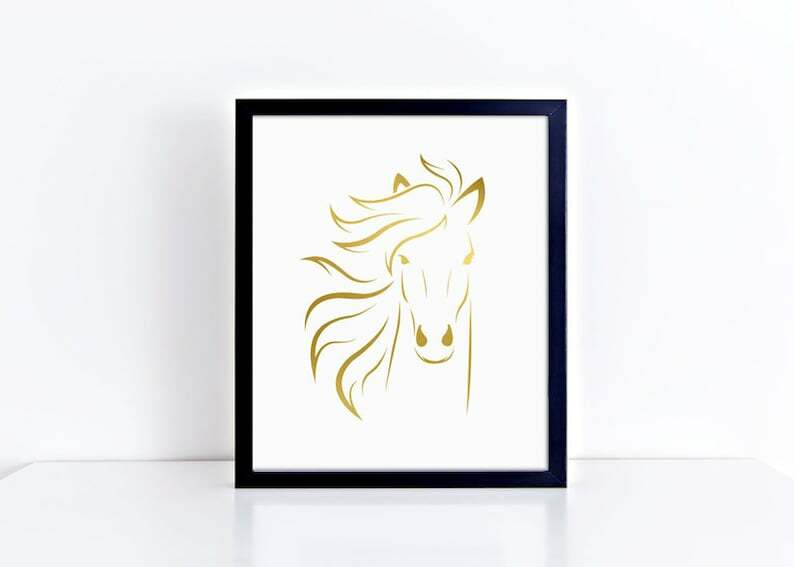 If you love horses, this is a a great addition to your home decor! Proudly display this 8x10" Foil Wall Art fine quality print. Whether you are looking for wall decor for your home or office, or to give as gifts to family, friends, teachers, co-workers, bosses, neighbors, or that special person, or whomever, our prints are a perfect choice!